The selling of controlled substances online is an extremely lucrative business. The BBC reported that the US market is $4.4 billion, and Newswise projected that the enterprise may expand globally to $75 billion by 2010 — outpacing legitimate drug sales by 50%. Overall, there’s been an increase in sites that actually sell the drugs, although the number of sites that advertise them (which then link back to an actual retailers) has decreased slightly, reports the National Center on Addiction and Substance Abuse. 84% of “rogue” internet pharmacy sites do not require a prescription — and of those that do, half just asked for a prescription to be faxed (which allows for fraud or forgery on the part of the drug-seeker). Many “consultations” that these services perform are quick phone calls made by unlicensed doctors. And some sites update customers on prescription refills by sending them text messages, then billing the cost of the refill as a “custom ring tone” on their credit cards, making it easy for teenagers to escape the watchful eye of parents. Since the online drug industry is largely unregulated, medicine with the wrong — or lethal — amount of a key ingredient are commonly sold. The Washington Post reported that in 2006, 34 internet pharmacies were distributing over 100 million “dosage units” of drugs with the painkiller hydrocodone — and that 95% of online pharmacies in general sold the drug, in comparison with 11% of certified “brick and mortar” pharmacies. Additionally, 90% of these pharmacies sell alprazolam (Xanax) or diazepam (Valium). CBS reported on a number of deaths and serious health injuries that occurred due to the consumption of such drugs: one man suffered a serious heart attack and coma after taking an internet Xanax pill that contained four times the usual dosage, and a woman who bought steroids for chronic fatigue syndrome ended up with severe cataracts that couldn’t be removed. Since many of these sites operate outside the United States, they are incredibly hard to target and condemn. (88% operate in a country where it is not illegal to distribute prescription drugs to Americans.) Additionally, as Michael Sanders from the Drug Enforcement Administration explains, “One of the main problems is that the sites can literally open up for a week, close and open up under a different name.” Legitimate drug retailers worry that unregulated drugs will end up in certified pharmacies through secondary wholesalers. 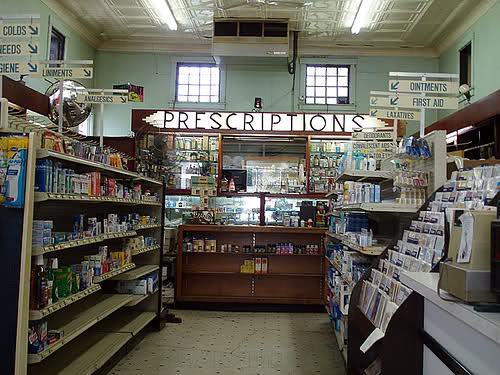 The Ryan Haight Online Pharmacy Consumer Protection Act, which amended the Controlled Substances Act passed in the 1970s, was signed into law in 2008. Named after a teenager who ordered a narcotic online and then died from it shortly thereafter, the act officially defines “online pharmacies” and requires that their operations obtain express authorization from the Drug Enforcement Administration. The law also requires one face-to-face medical consultation before distributing any drugs. States have done their part, as well – at least eight have created laws prohibiting the online sales of drugs without a prescription. Checking Sitejabber reviews is a good place to start when looking for legitimate online pharmacies. Several large online drug stores such as Costco and Drugstore.com are legitimate and have been positively reviewed by the community. While the FDA sometimes discourages online drug purchases because it is concerned with fraud, it does have recommendations for those it deems safe. Websites that are trustworthy have a National Association of Boards of Pharmacy “Verified Internet Pharmacy Practice Site” seal. Similarly, LegitScript also has a robust verification process. A good site will have a licensed pharmacist ready and available to talk to you, be located in the United States, have contact information clearly visible, and most importantly, require a prescription.